Santa Clara County hired a variety of consultants after the August 2015 beating death of Michael Tyree. 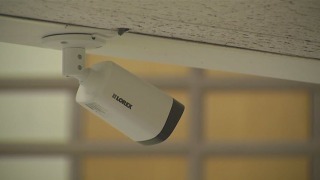 Newly-installed cameras are helping solve incidents, including a recent stabbing at the Santa Clara County Main Jail. The Santa Clara County board of supervisors Tuesday approved spending slightly nearly $1.4-million on a “suicide-resistant” jail design, in light of the fact that nine inmates have killed themselves there in a five-year period. That rate, 47.4 deaths per 100,000 inmates, is slightly higher than that of county jails of varying sizes throughout the United States, according to the recommendation of suicide expert Lindsay Hayes, who recommended the new design to the supervisors. Still, the numbers are relatively low: In 2011 and 2012, three Santa Clara County jail inmates committed suicide; no one committed suicide in 2013; one inmate committed suicide in 2014 and two people committed suicide in 2015, Hayes’ data shows. The money and redesign is slated for the 32 existing cells in the Main Jail North in San Jose and 21 cells at the Elmwood Correctional Facility in Milpitas. The total cost of the project, $1,384,500, will be transferred from the county’s general fund contingency plan. The hope is to complete the project by spring of 2017, the county agenda states. Some of the “suicide-resistant” modifications include removing the upper bunk beds and clothes hangers, replacing wooden and steel doors with large “vision panel doors” that have no protruding handles, and replacing lower bunk beds with rounded, plastic molds. Santa Clara County hired a variety of consultants after the August 2015 beating death of Michael Tyree, who was mentally ill, allegedly by three correctional officers. Tyree was not suicidal, but the shocking murder charges against the jail guards prompted the supervisors to begin looking at a larger jail reform effort, according to the county agenda. The suicide-prevention jail redesign is just one of many changes the sheriff is making or already has made, according to Supervisor Dave Cortese's Office. Some of those reform efforts include giving employees more training, adding surveillance videos to the jails and making sure inmates get their medication when they need it.